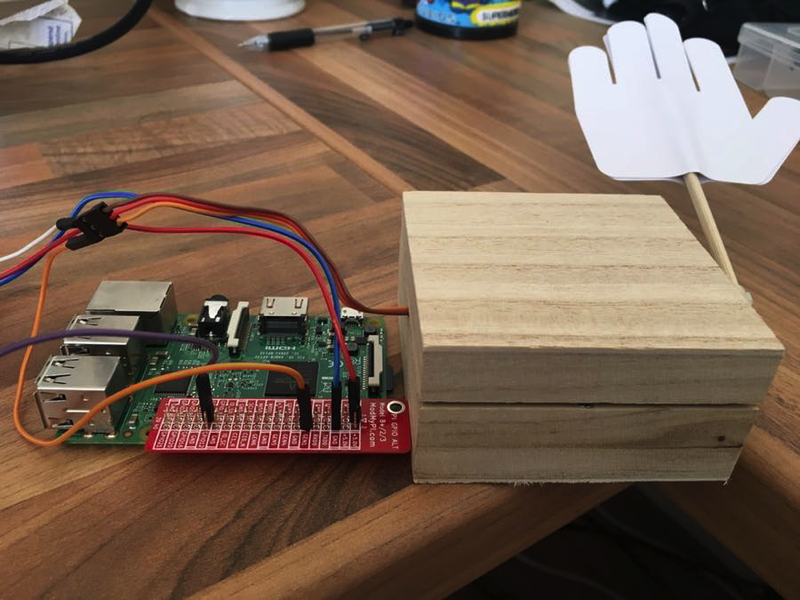 High Five Machine #piday #raspberrypi @Raspberry_Pi « Adafruit Industries – Makers, hackers, artists, designers and engineers! Life is all about little victories and with a busy life it’s very easy to oversee important things that can give you a little bit of joy and motivation bit by bit every single day. I would love to get an “Internet high five” every time someone likes one of my articles or when I get a nice mention on Twitter for one of my talks. Let’s build a high five machine powered by Android Things and the power of Firebase to give us instant gratification when one of those things happen.